Meet the beautiful Rosie! 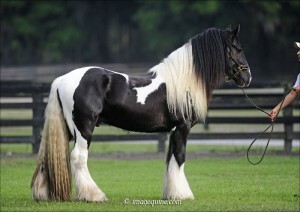 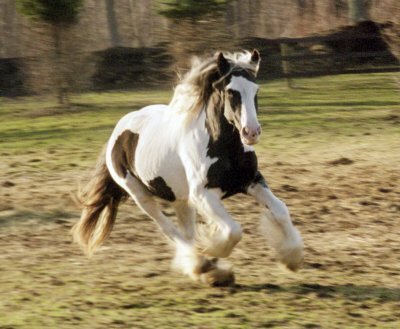 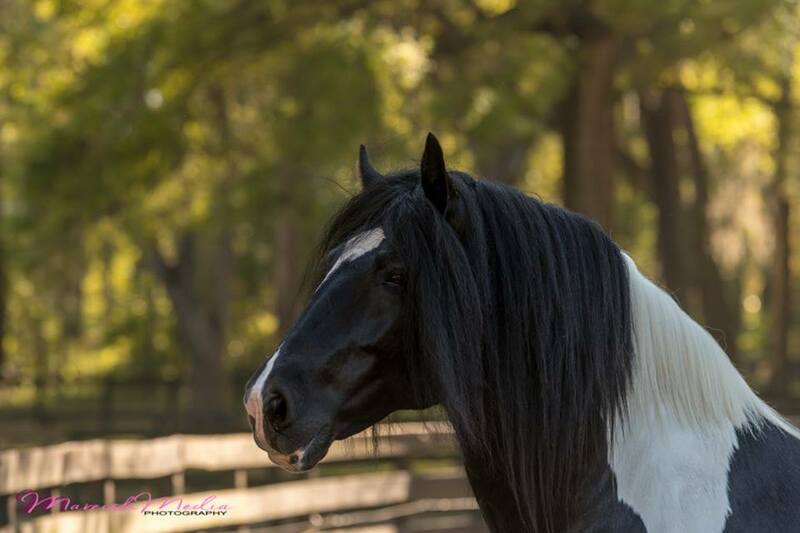 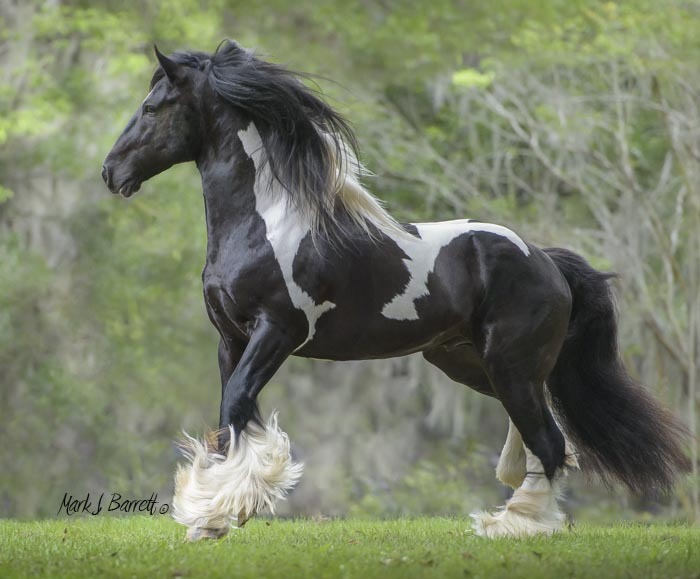 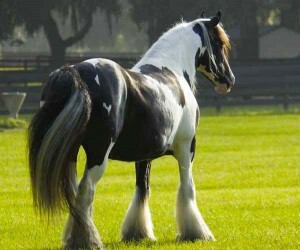 Rosie is out of our stallion Versace, who is a dead ringer for his sire Latcho Drom. 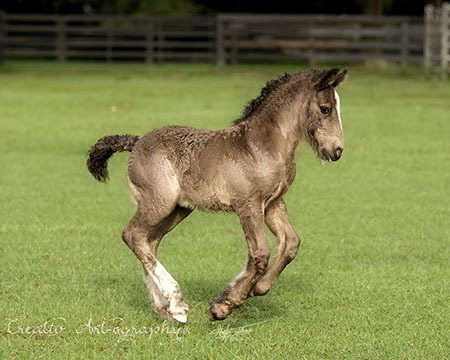 Versace has been producing fantastic foals with a lot of athleticism. 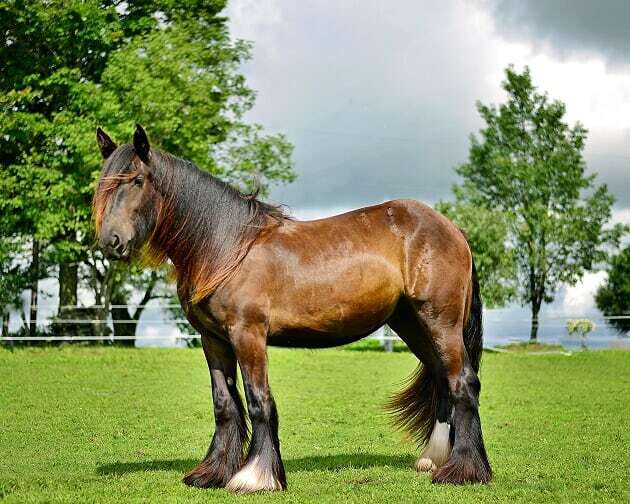 Rosie’s pedigree goes back to Latcho Drom, Crown Darby, The Coal Horse, The Lion King, The Lob Eared Horse, The Road Sweeper and The Pride Horse. 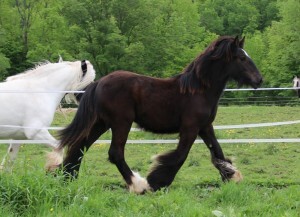 Rosie is as sweet as they come, an in your pocket kind of horse who just wants to be with you, whatever you may be doing. 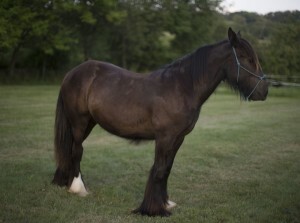 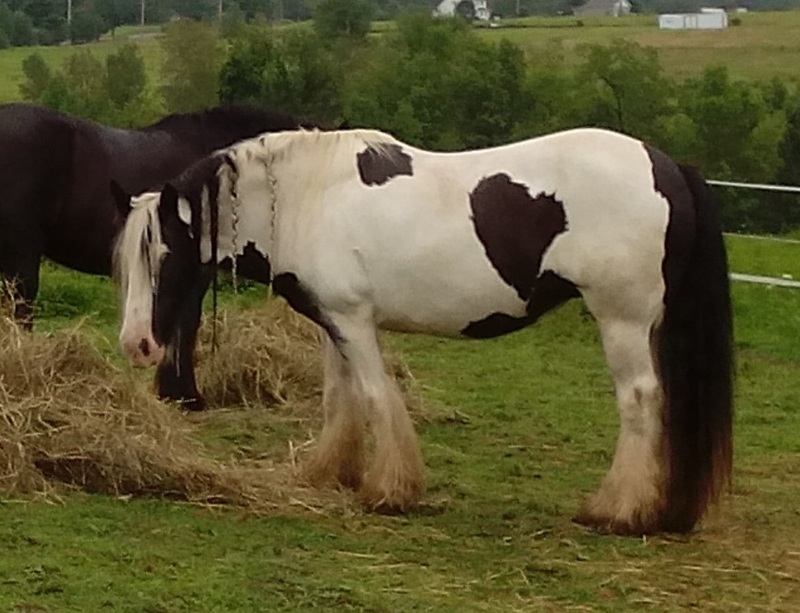 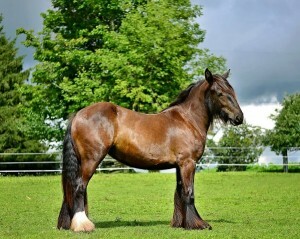 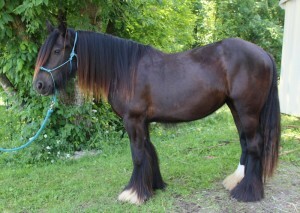 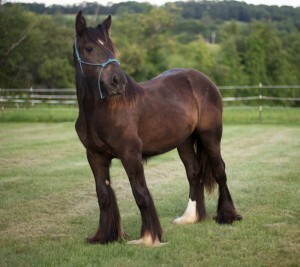 Rosie currently stands 14hh at 21 months – her sire is 15hh and dam is 14.2. 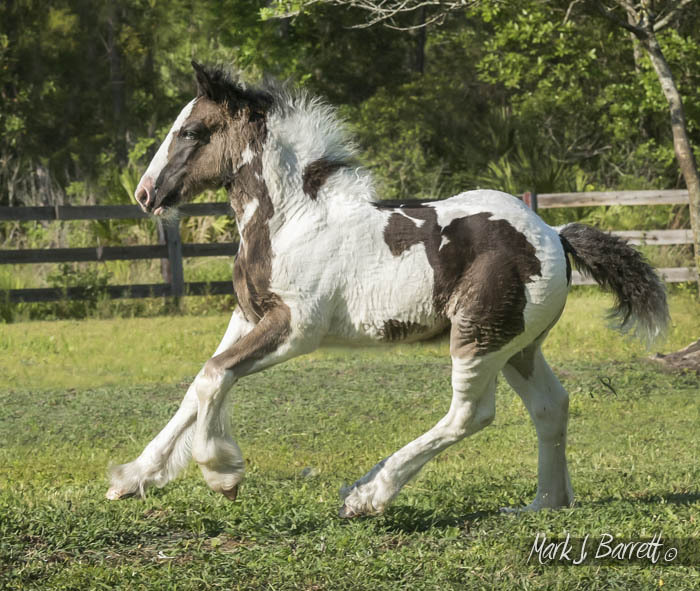 Rosie is an amazing opportunity for someone – there aren’t too many Versace babies out there and her dam Heart of Gold is one of a kind, having been imported in utero. 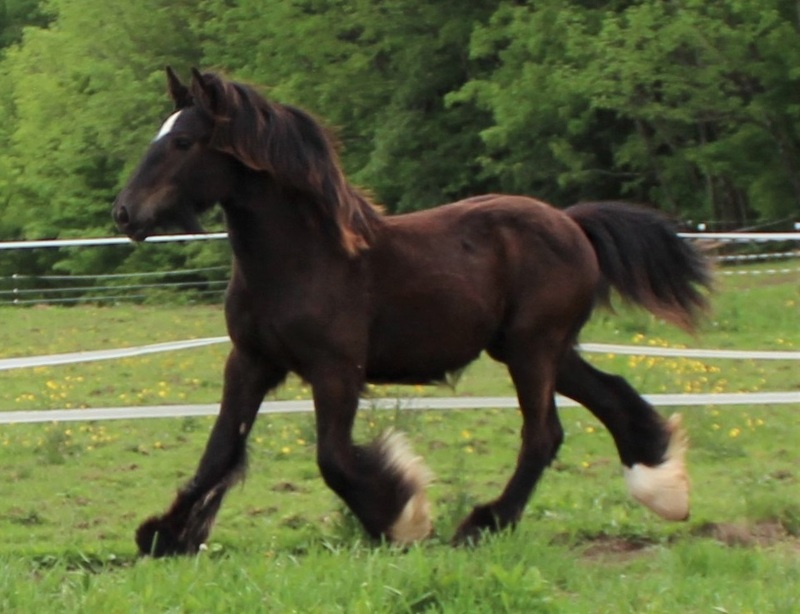 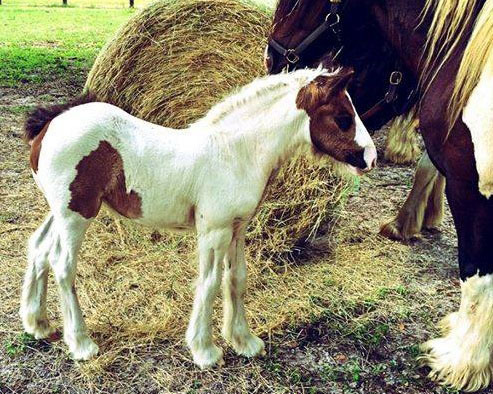 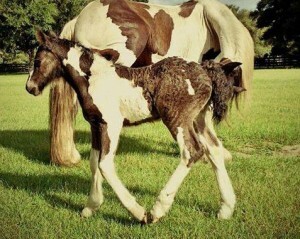 This filly would do any breeding program proud, and would also make a wonderful family horse.